I’ve always love mountains and the deep blue color of water. 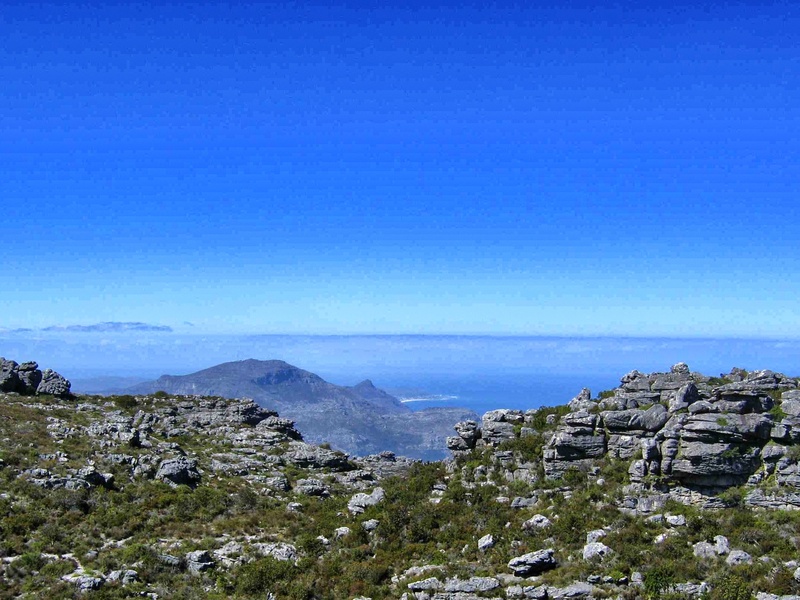 Here on top of Table Mountain in Cape Town, I got a spectacular view of where the ocean meets the sky. To see more entries to this week’s challenge, click here. I like that combination, too. Thanks! Iceland is quite spectacular! Opps. Sorry I thought this comment was about my Iceland post but it was on thirdeyeworld and of South Africa! Both beautiful places! This is an old pic too that had to be scanned as I went to Cape Town in 2004.